It is often said that starting a dairy farm is one of the best ways for young people — as well as those of any age who are new to the agricultural industry — to get their foot in the door. However, it’s important to note that success doesn’t just happen overnight; like with any business venture, it takes passion, hard work, and a solid business plan. Starting a dairy farm is not something that should be undertaken on your own. It’s important to surround yourself with the right team, whether it be business partners or family members, who rival your passion and vision for the operation. In addition, an agricultural consultant can help you find the right dairy land for sale, secure financing, develop a business plan and SWOT analysis, oversee construction and engineering aspects, and even maintain compliance. 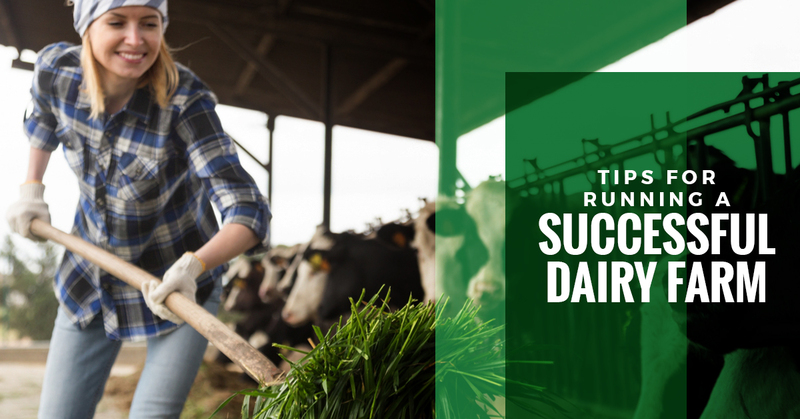 In this blog, we’ll be going over a few tips for running a successful dairy farm. Our first tip is to visit the agricultural development professionals in Greeley. At AGPROfessionals, we stand by our clients in order to help them solve problems, meet their goals, and find success in their ventures. Our agricultural development and consulting team is ready to advocate for you. Continue reading for a few dairy farm tips and contact us today to learn more. The first, and most important, aspect of running a successful dairy farm is having the land to do so. At AGPROfessionals, one of our specialties is serving as the ultimate source for agriculture real estate in Colorado, Nebraska, Nevada, and the surrounding region. Not only can we help you find acreage for sale, we can also assist you as a broker, serving as private third party representation, and more. It’s important that you find a plot of land that isn’t too big, or too small, for your planned operation. Our agriculture consultants can aid with site selection to ensure you get what you need. A dairy farm operation is, in the end, a business. With that being said, it’s imperative that your prospective business has a detailed plan, as well as a comprehensive SWOT analysis (which details strengths, weaknesses, opportunities, and threats). Your business plan and analysis will help you decide the amount of cattle you can handle, whether you have an ample budget, what upgrades or improvements can be made to your infrastructure, and more. Having a trustworthy agricultural consultant on your side can help you improve efficiency, and ultimately drive success, on your dairy farm. At AGPRofessionals, our Greeley-based agricultural development team advocates for your success. Learn more and contact AGPROfessionals today to get started.